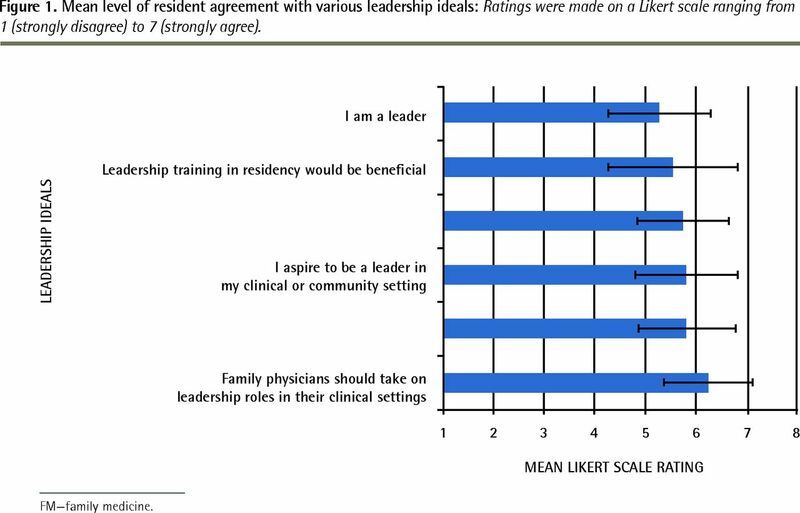 Mean level of resident agreement with various leadership ideals: Ratings were made on a Likert scale ranging from 1 (strongly disagree) to 7 (strongly agree). 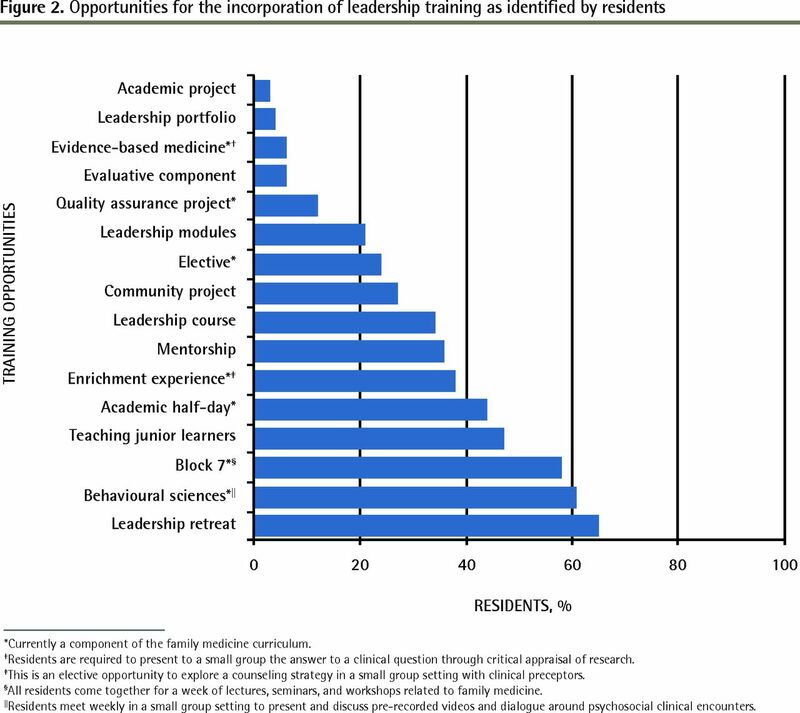 *Currently a component of the family medicine curriculum. †Residents are required to present to a small group the answer to a clinical question through critical appraisal of research. ‡This is an elective opportunity to explore a counseling strategy in a small group setting with clinical preceptors. §All residents come together for a week of lectures, seminars, and workshops related to family medicine. ‖Residents meet weekly in a small group setting to present and discuss pre-recorded videos and dialogue around psychosocial clinical encounters.